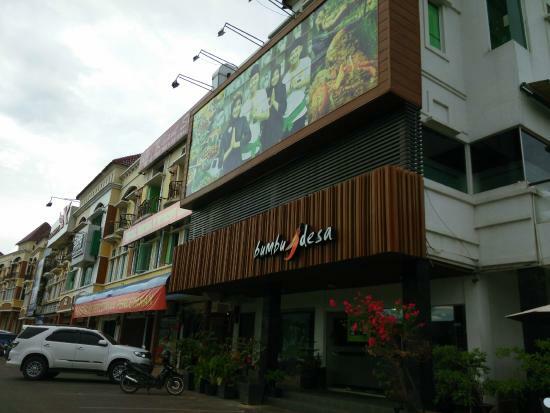 Armed with hundreds of recipes family owned, Bumbu Desa first started opening outlets in Bandung Laswi road in 2004. To the uniqueness as well as the courage to ask the dish "kampong" packaged "modern" with a taste sensation "The housing" exotic produce dozens of invitations for Bumbu Desa to bershilaturahmi with a thousand tongues consumers in many parts of the archipelago. Since its establishment until the end of 2015, Bumbu Desa had opened 67 outlets in various cities in Indonesia, Malaysia and Singapore.